Trip Summary: Our team of men and women of all ages had a wonderful time in East Africa this season. 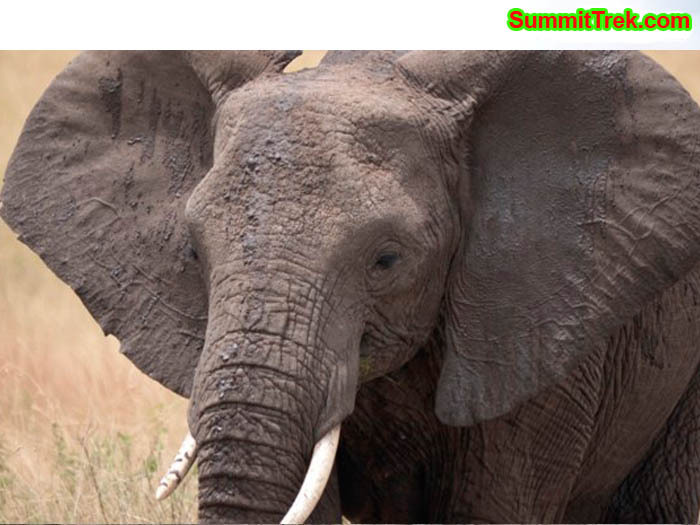 Welcome to the gorgeous, friendly countries of Kenya and Tanzania where we venture each August and February. 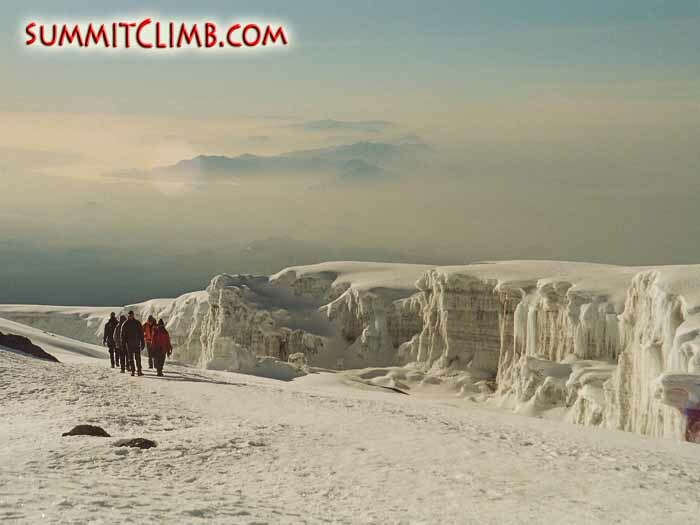 Our trip to East Africa features a walk to the top of Kilimanjaro, Africa's highest mountain: www.KiliTrek.com . 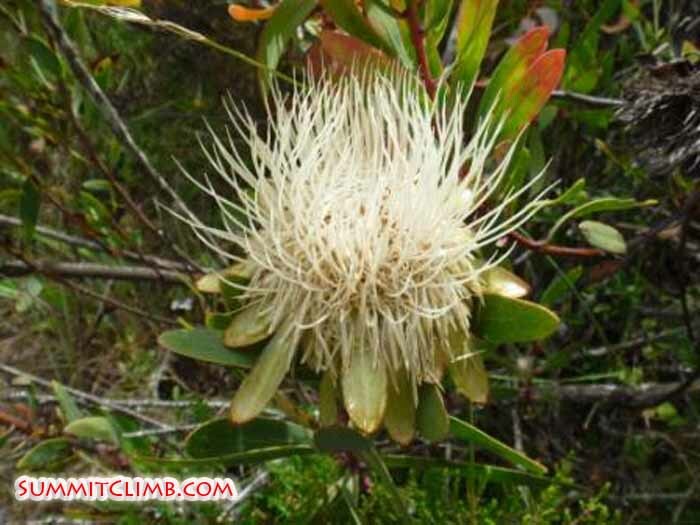 We use the gorgeous, easy, and less crowded Rongai walking route for our ascent. .View on Kili from Simba Camp. 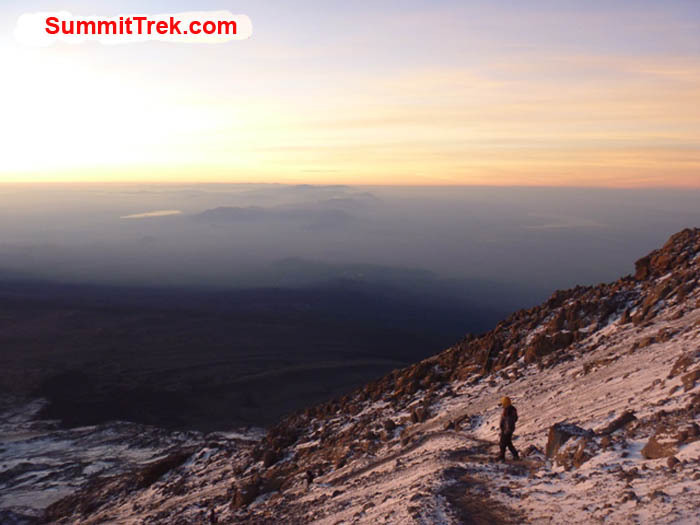 Photo by SummitTrek .Mackinder’s valley on Kili. 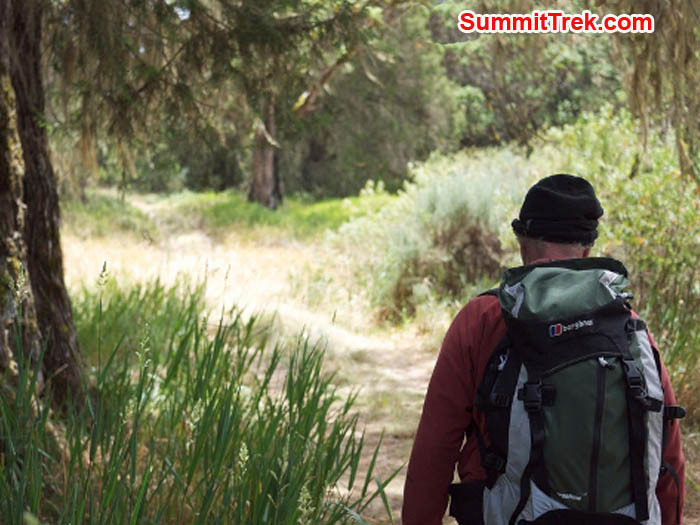 Photo by SummitTrek. 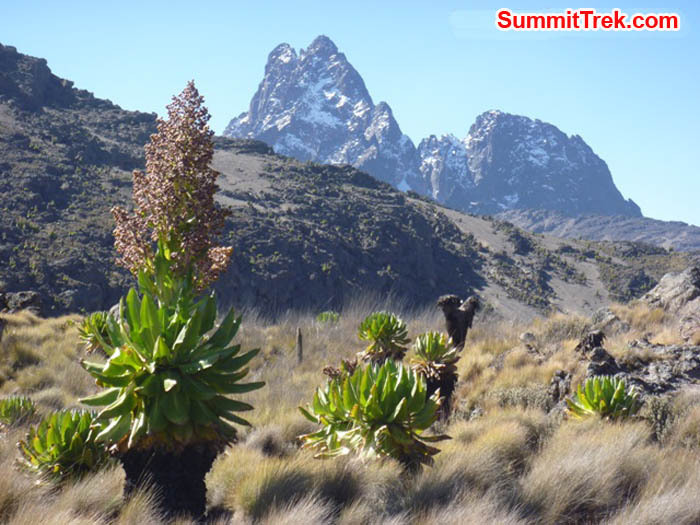 Also, we enjoy a trip to Africa's second highest summit: Mount Kenya, where we have a brilliant easy walk on the "summit circuit path" and for those who like to climb, there is the optional rock climb to the summit. 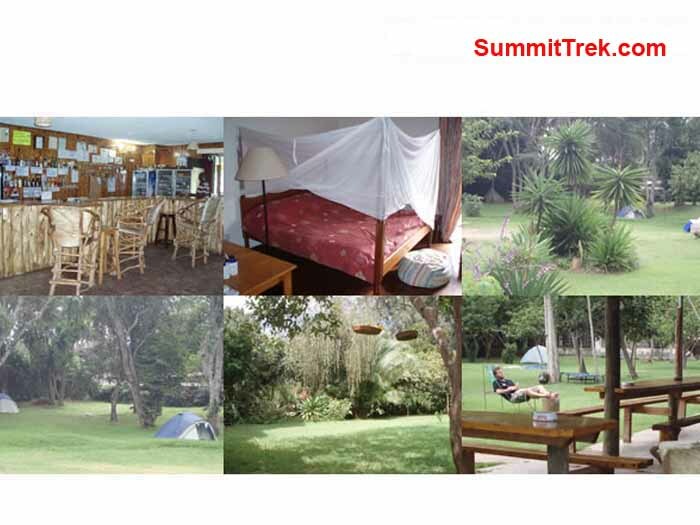 Please visit www.KenyaClimb.com . 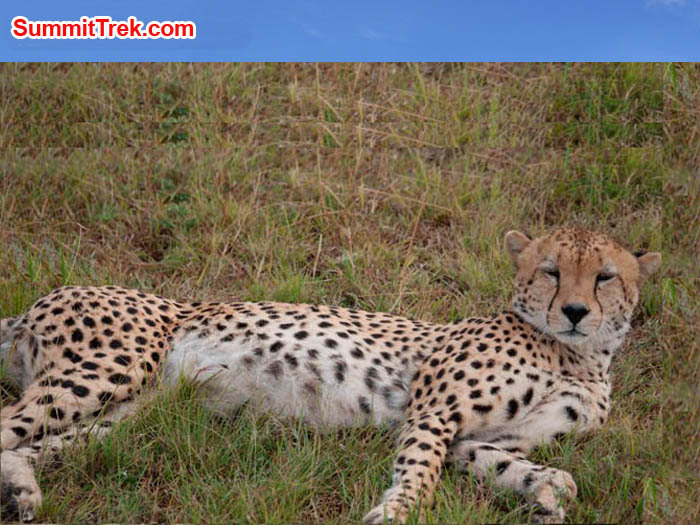 After exploring the two best mountains in Africa, we visit the top wildlife park of the region, the Masai Mara, which is an uncrowded and stunning paradise for viewing big game and colourful birds. Our trip features a friendly western (European, British, or American) leader who speaks perfect English, is highly qualified, well educated, good at instructing, a gracious host, and fun to be with. Our team of men and women of all ages had a wonderful time in East Africa this season. They started their journey with a flight into Nairobi, Kenya, where they stayed in a comfortable hotel and met our European Leader, who speaks perfect English and was educated. 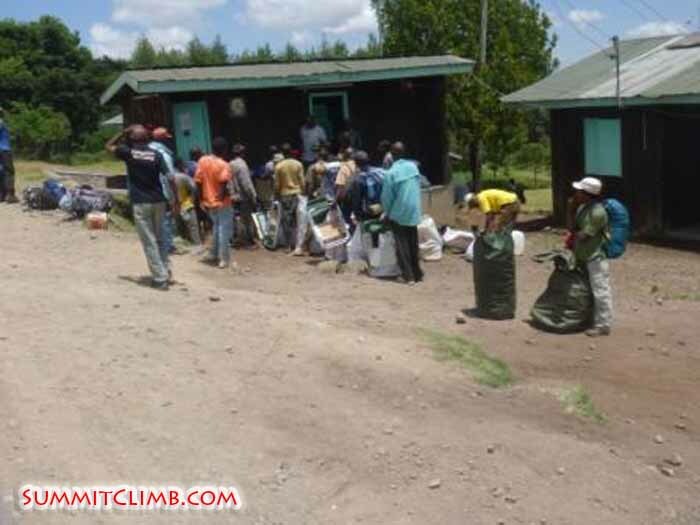 The team drove to Moshi, Tanzania, where they met their local porters and cooks and walked to the top of Kilimanjaro, the highest peak in all Africa via the uncrowded Rongai Route, which is not one of the standard very crowded "super highway - motorway - autoroute" routes on Kili like the Machame Route or the Western Breach, which are to be avoided. The weather for walking up Mt. Kilimanajaro was gorgeous and everyone enjoyed it very much. 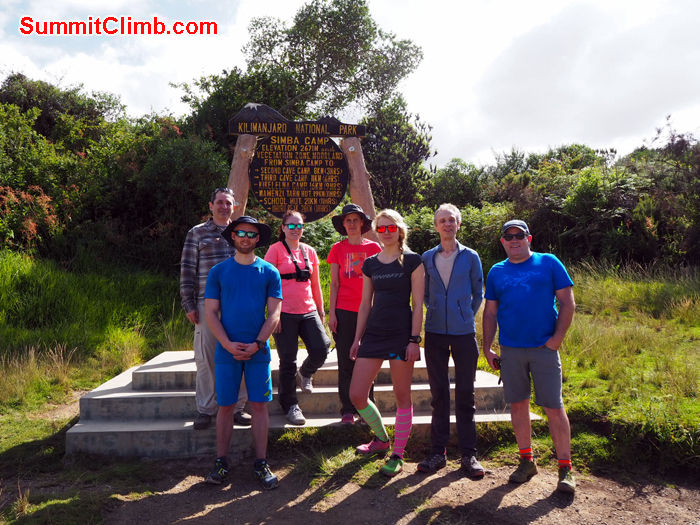 After their fun climb on Kili, a couple of members flew home, and a new member flew in, and they all set off to climb and walk Mt. 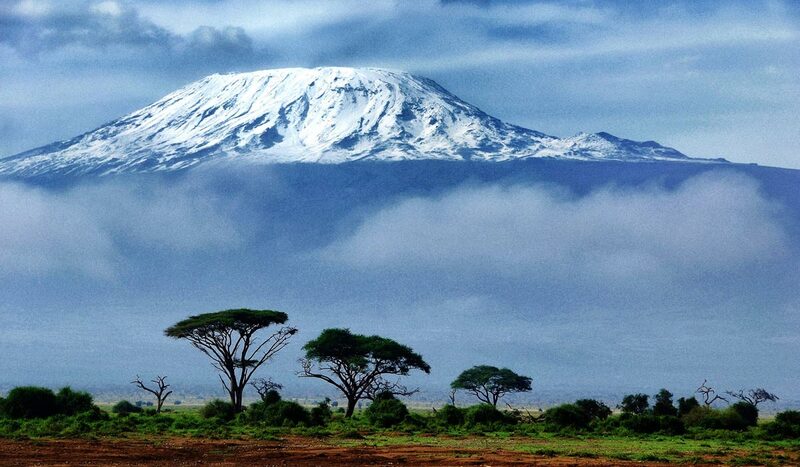 Kenya, Africa's second highest peak, where they met almost no other tourists. 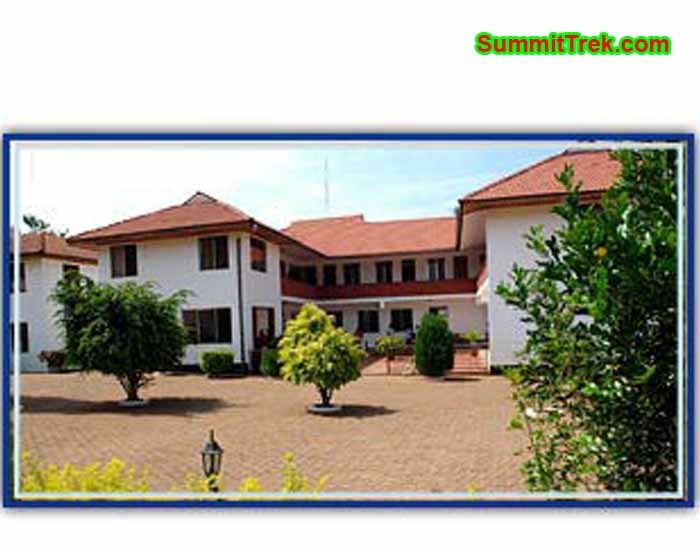 The walkers trekked the amazing summit circuit path, rounding the higher flanks of Mt. 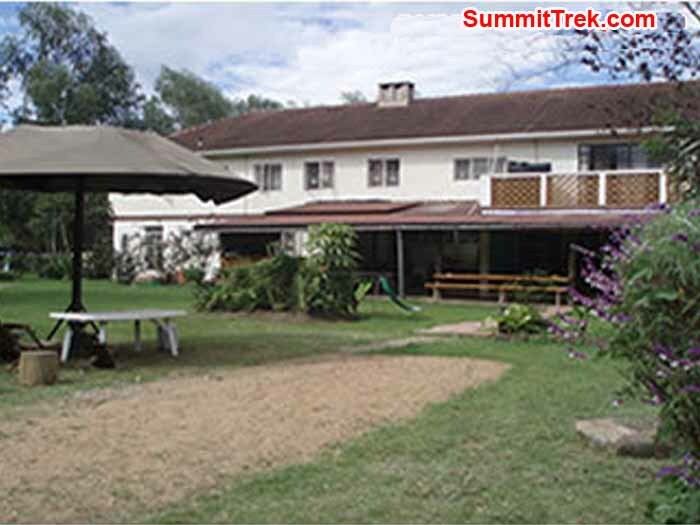 Kenya, viewing the exotic vegetation and alpine lakes, and hiking to the top of Point Lenana for stunning sunrise views of the massif of Mt. Kenya and the lovely Aberdare Range. 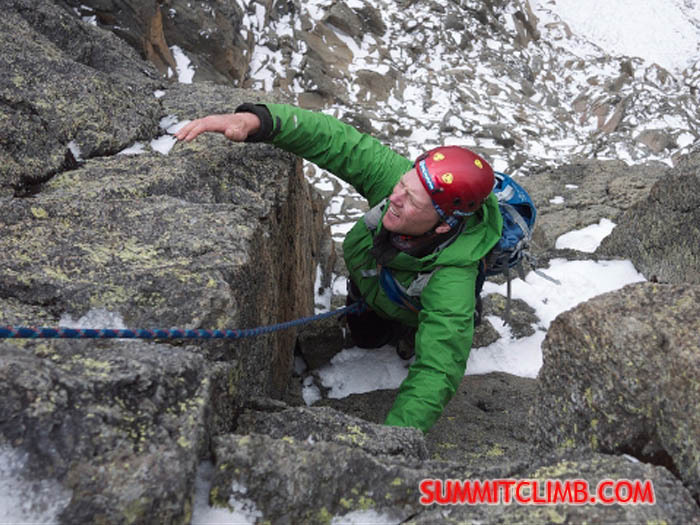 The climbers practiced on Point Peter and then, from the Austrian hut, they ascended the stunning McKinder's Route with 16 pitches of good rock, the most difficult being at a grade of French 4, British Severe, and North American 5.1 to 5.7. 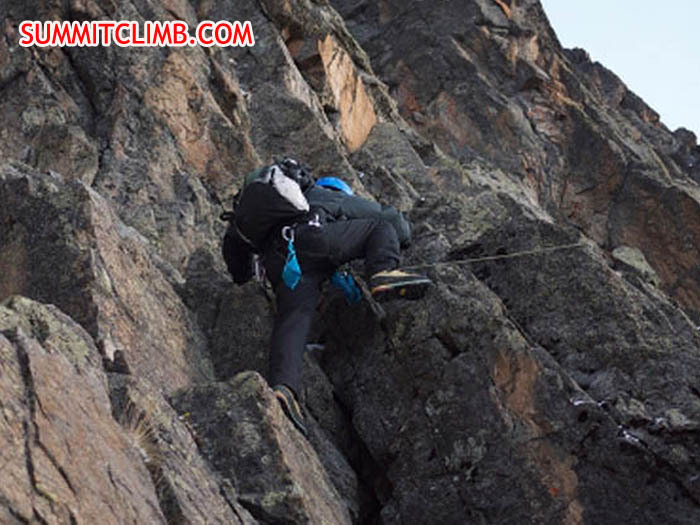 The climbers benefited from the strong leadership, instructional skills, friendliness, prior experience on the route, and confidence of Leader, a top level technical climber with 3 ascents of Mt. Kenya, who brought all of his own carefully inspected rockclimbing gear and ropes. In addition to, the team also enjoyed the added benefit of being accompanied by a local Kenyan guide, trained by the Austrian mountain rescue team. After Mt. 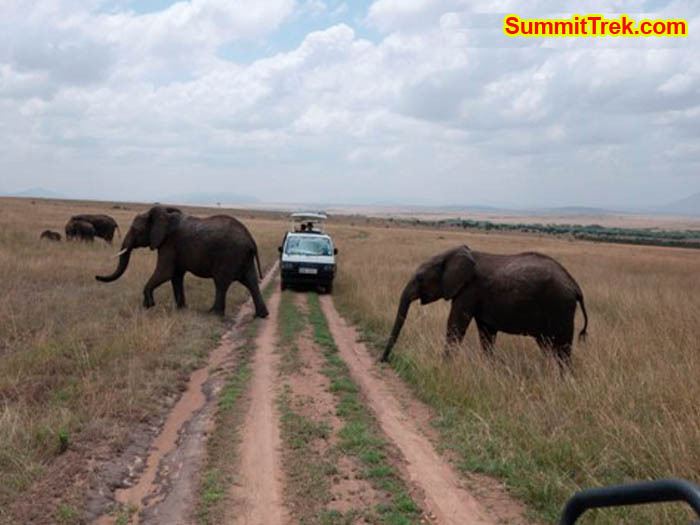 Kenya, some of the members flew home and those remaining went on to experience a spectacular jeep safari in the Masai Mara, one of the finest big game parks in all of Africa. It was truly an enjoyable trip and everyone had a lovely time while making so many wonderful new friends who will keep in touch with for many years." One of our team members enjoying the non-touristy and easy walk on Mt. Kenya. (photo: Felix Berg). On the summit of Kili. Photo by Arnold Coster. Andrew and Jonathan on the summit of Point Peter 4900m / 16,000 feet. Photo by SummitTrek. 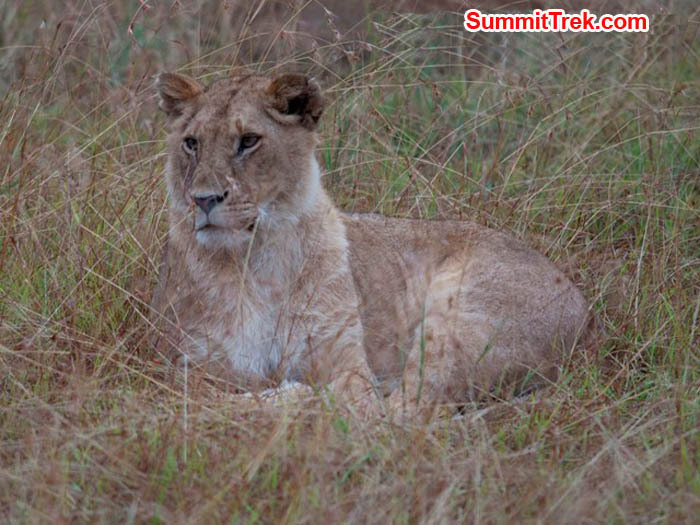 Lion cub resting on a branch in Masai Mara national park. Photo by Jonathan Barbero. 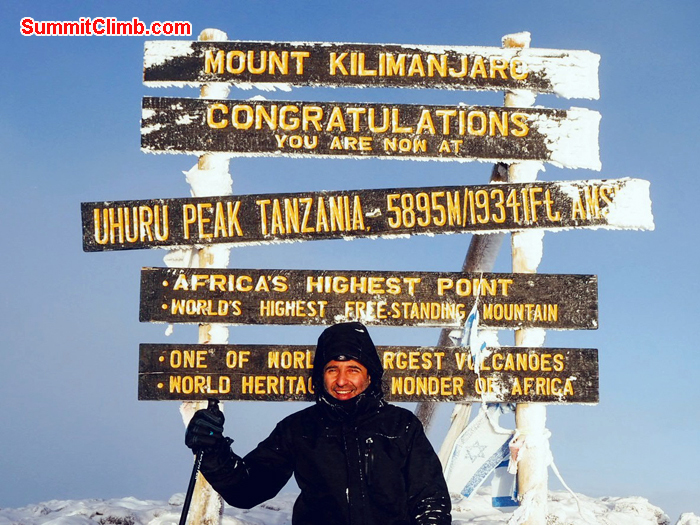 Hello, today is 27th February and I’m calling from the summit of Mt Kenya 5188m. I’m here together with Jonathan and Mel and our African guide Duncan who did a fabulous job getting us to the summit. This morning was a little difficult because there was some snow on the ledges and the route was not completely dry but somehow we managed to push through and we’re on the summit now. So we will now go back 13 pitches down, then we will walk through the glacier to the Austrian hut, drink a little bit then it’ll be a hard walk to Minto’s Hut. 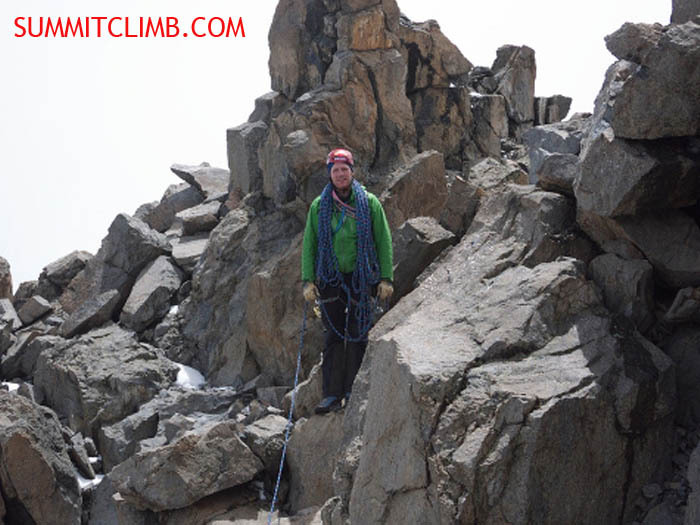 Hello this is leader of the Mt Kenya climb and I’m calling from the Austrian camp at 4800m on the 26th February. Today we had a bit of a stormy afternoon but before we left Shipton’s camp this morning the weather was quite nice. 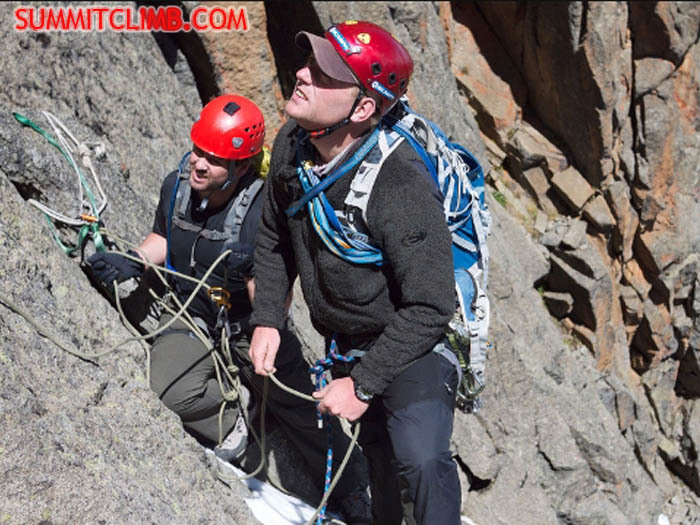 Ryan and Andrew decided not to do the rock climb on Mt Kenya so they took a bit of a longer hike this morning anti clockwise around Mt Kenya through Two Tarns and Mackinders and up to Austrian Camp. Meanwhile, Jonathan and Mel took the short way up the Kimber col to reach the Austrian Camp in order to save energy ready for the climb tomorrow. We just had a quiet storm here, some fresh snow and it was very windy but it looks like the weather is going to calm down and I have good hopes for tomorrow. Tomorrow morning the climbers will set off at about 4.30am so that we can reach the rock face at first light or just a little bit before. The climb on Nelion is going to be a long climb, it’s 19 pitches and there will be 3 hard pitches in the whole rockface. Iit’s about 400m high, so we’re looking forward to doing that. 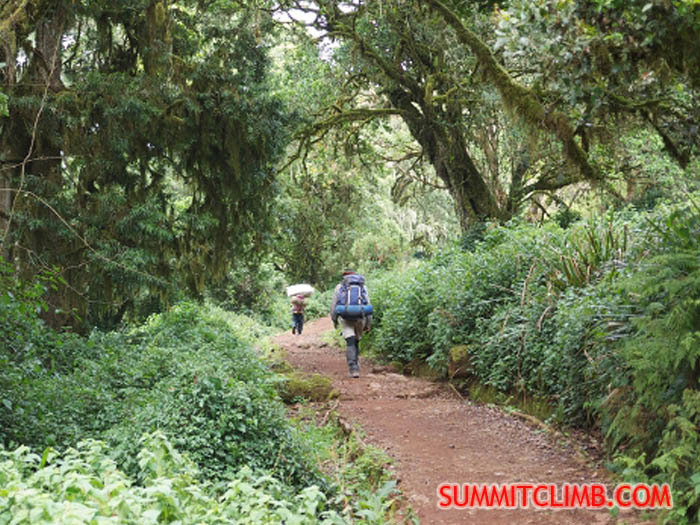 Ryan and Andrew will set off in the morning to reach point Lenana at about 4960m to a sunrise across the beautiful valley and the valley is where we go to tomorrow after we reach our summit of Nelion. 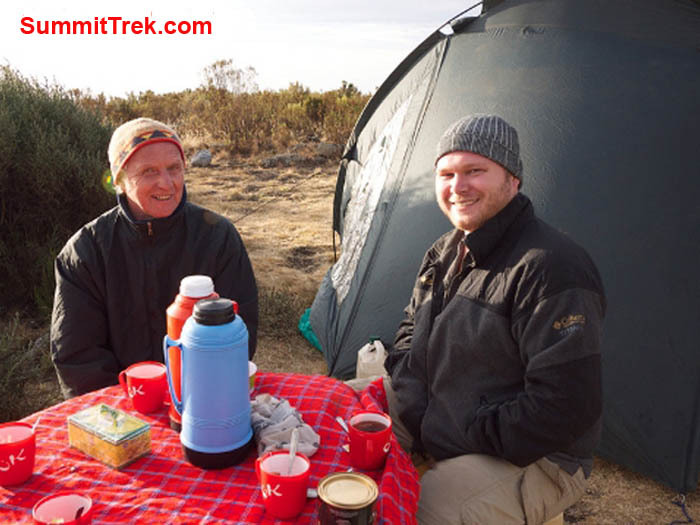 Hi this is Andrew Wooster with the SummitClimb Expedition Mt Kenya. 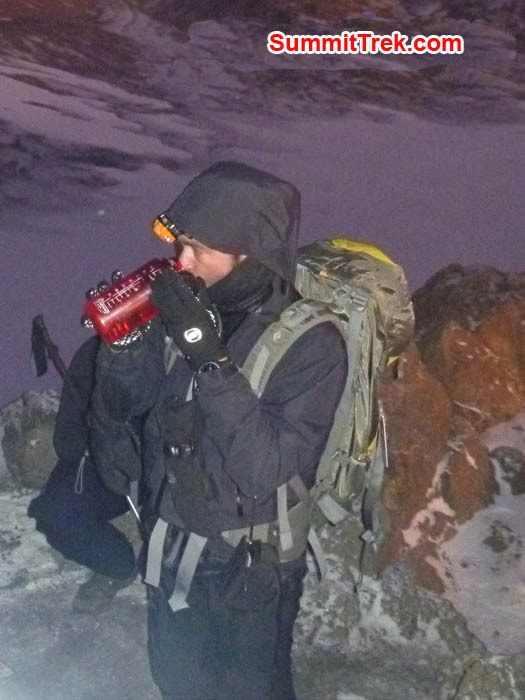 We’re currently camped at 3200m elevation and today we had a combination acclimatisation day and training day. Mel and Ryan did a short training at elevation while Jonathan, leader him self and our local climbing guide Duncan did a short training rock climb up to 4700m elevation. Tomorrow the group will be split temporarily; Ryan and I will be trekking to an American camp and then to Austria Hut, meanwhile John and Mel will head directly to Austrian hut with leader and Duncan from which they will set out on their climb up Nelion next day. Ryan and I are foregoing the rock climb of Nelion so we’ll have a pretty easy day that day compared to the others. So far Mt Kenya is proving to be a much more interesting trek than Mt Kilimanjaro, the plant life here is other-worldly and the terrain is drifting and a lot less crowded and I’m really enjoying this trip. Everyone is in good health and high spirits. It’s now 4.42pm the weather has been good and we’re doing great. Finally Hello to my friends and family back home; I’ve been thinking of you and hope this dispatch finds you well. 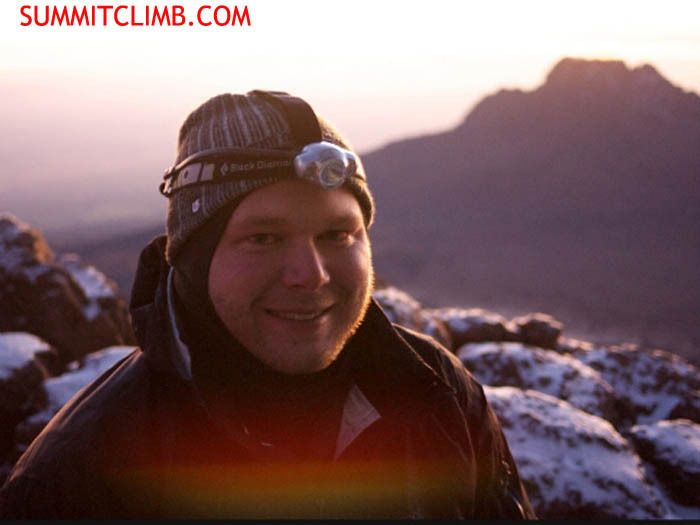 Hi this is Jonathan Barbero with the SummitClimb trip to Mt Kenya. Today is February 24th and we’ve now had two days of great weather on the mountain and resting pretty well at Shipton camp at 4200m. We’ll be here for another day to acclimatise and then we’re off to Austrian Hut before a summit attempt. Everyone is in good health enjoying the beautiful weather and the beautiful scenery and that’s it! 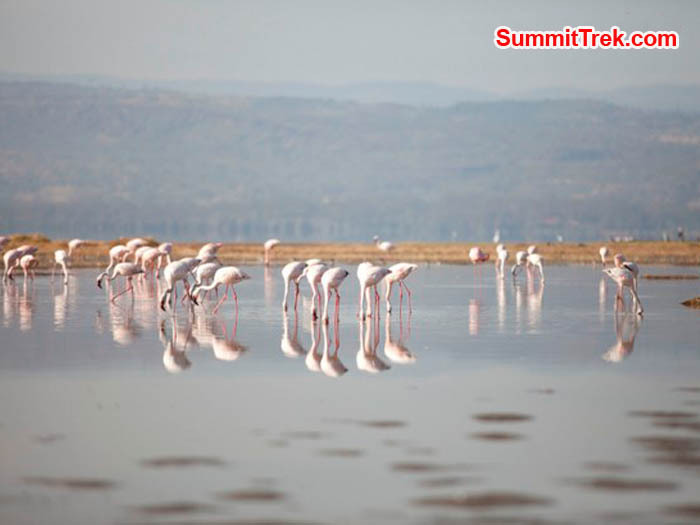 Flamingo's in Lake Narkuru national park. Photo by Andrew Wooster. Beautiful skies over Mt. Kenya. Photo by Jonathan Barbero. This morning started off very beautiful, a little bit windy though but we had a nice walk to the Leki camp with beautiful views on the north side of Mt Kenya. There’s a little bit of snow on the mountain. The scenery changed on the way to the Leki camp. We saw a giant weird looking plant that looked like it came from another planet. There are only a few groups that we have met on the way and we are practically alone in the campsite. 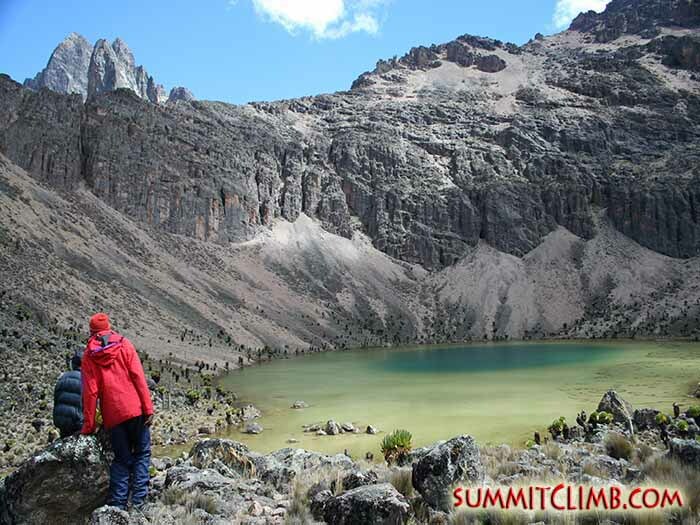 Tomorrow we will head off to Shipton's camp at about 4200m and the next day we will have a practice and acclimatisation day there. It is a big mountain and it goes up quite fast. All the walking is basically up, up, up. 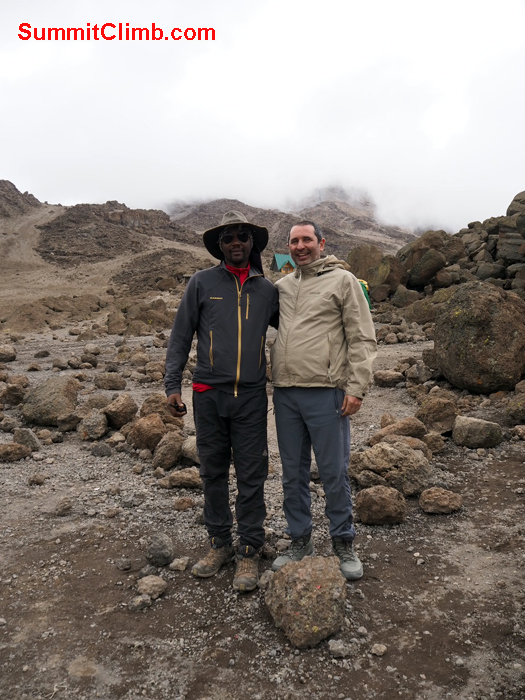 So we’re having a great time and our staff are taking really great care of us and I’m looking forward to tomorrows hike and of course the climb, Mt Kenya is a proper climb not a walk. 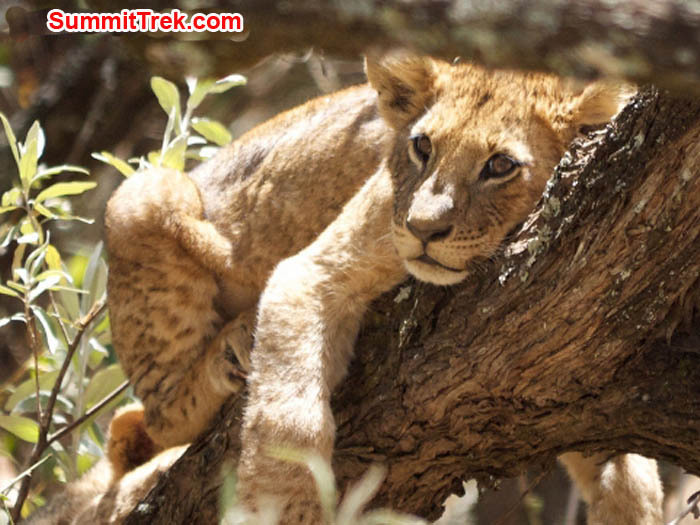 Lion cub resting on a branch in Masai Mara national park. Photo by Jonathan Barbero. Walking in the forest towards the Bandas lodge on Mt. Kenya. Photo by Jonathan Barbero . 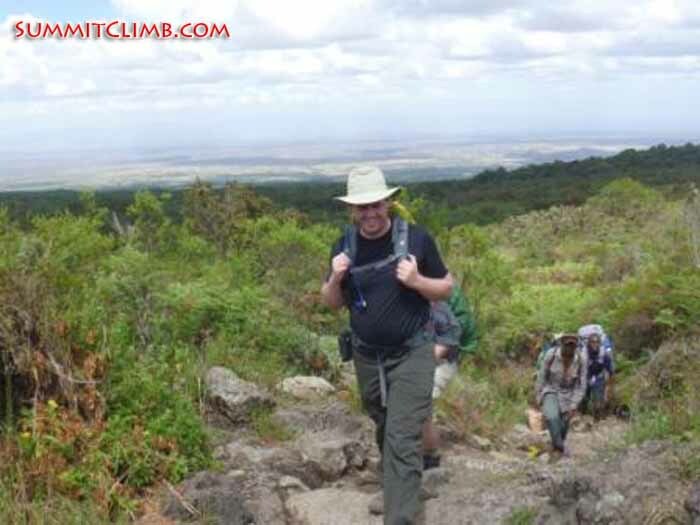 Back in the forest, walking towards the Marangu gate on Kili. Photo by Jonathan Barbero. Driving to Chogoria village on Mt. Kenya. 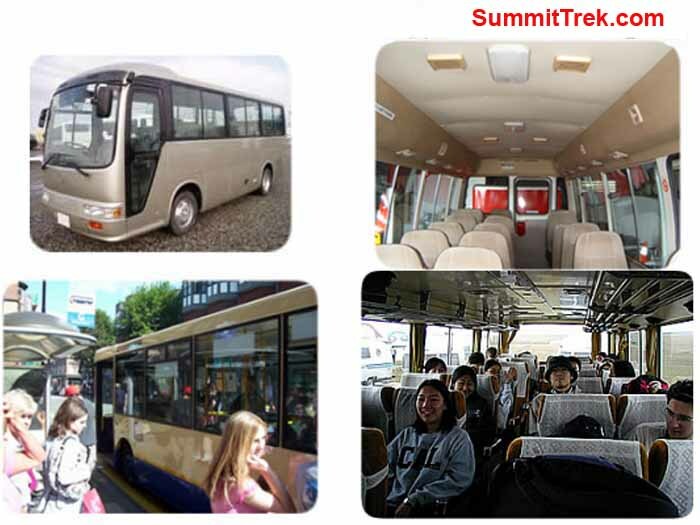 Photo by SummitTrek. 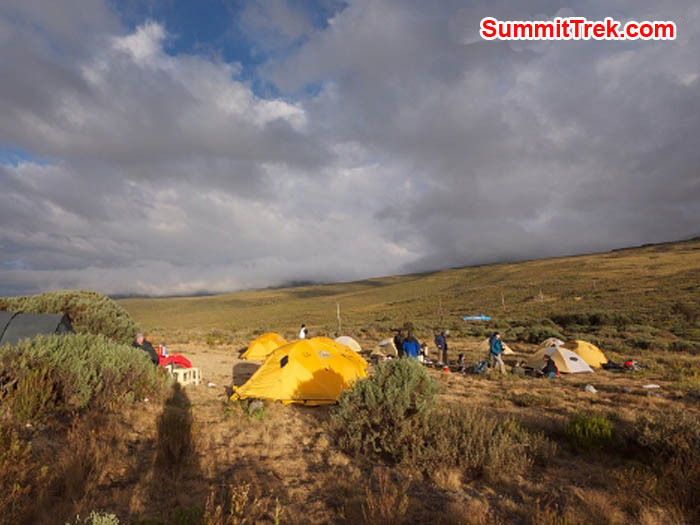 Hello SummitClimb news this is leader of the Mt Kenya expedition calling from Old Moses Camp at 3300m. 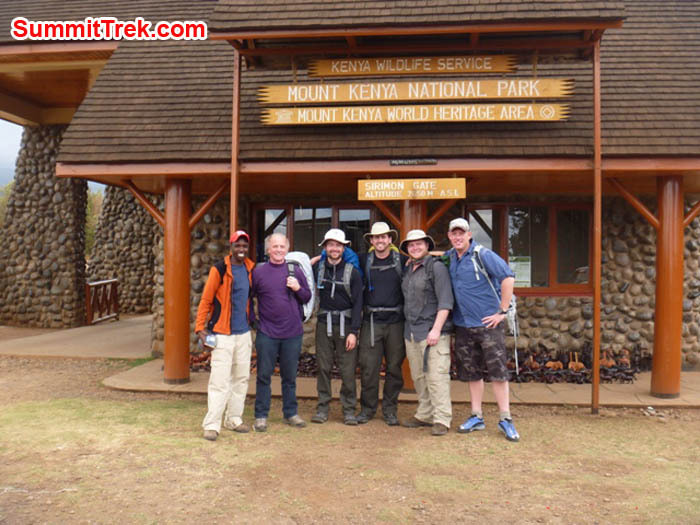 It was about a four hour flight from Nairobi to reach a town called Nainjuki and 20km out of town is the Mt Kenya National Park. We started walking there just after lunch and we reached our camp around 5pm. It’s a beautiful camp in some grassland. We’ve just had a beautiful sunset and we’re going to play some Monopoly again and introduce our new member Mel Jones. Tomorrow we will set off not too late about 7.30am and we will go to Leki camp at about 3900m. The walk will lead us through countryside and it’s extremely beautiful here. The good thing about Mt Kenya is that there are no crowds. 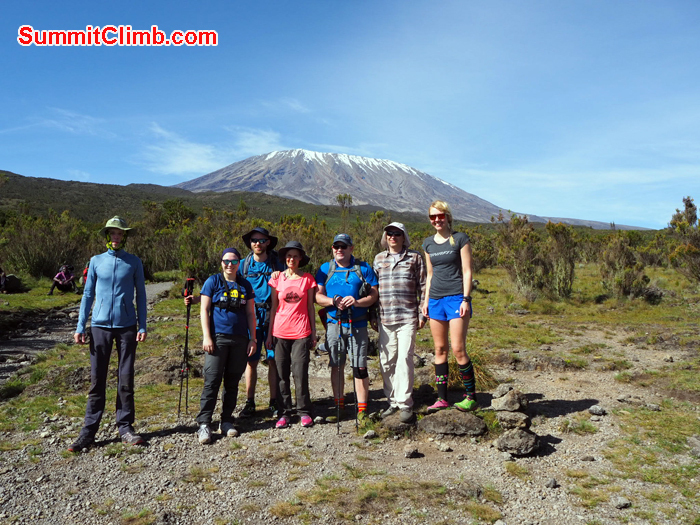 Just one other group is here apart from us which makes it pretty special if you compare it with somewhere such as Kili. So we are happy to start our next stage of the programme and I will keep you updated with more news tomorrow. Yesterday we all arrived back in Moshi. 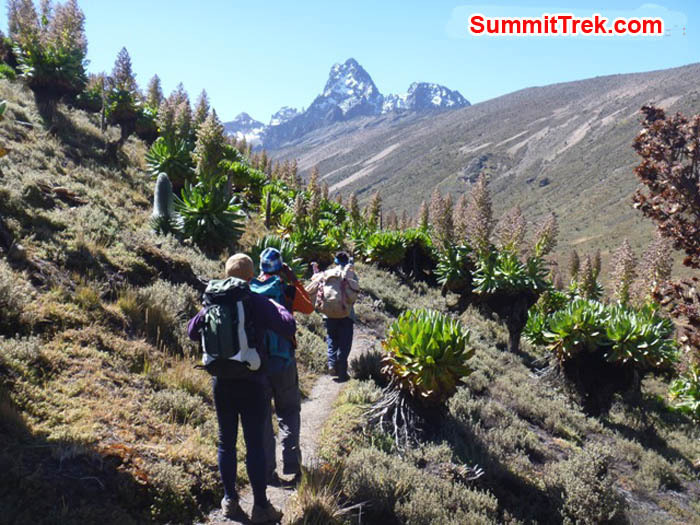 It was a long walk down from Horombo camp at 3740M, about 22km to the park gate. 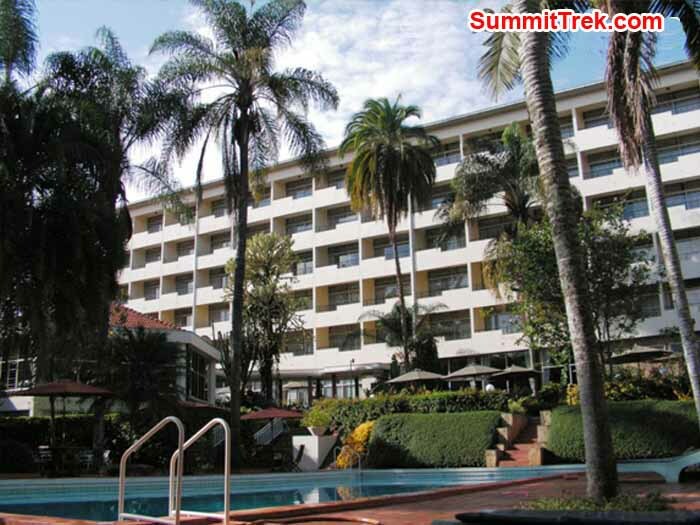 It was nice to be in the hotel again drinking a cold Kilimanjaro beer! Early in the morning we set off for the drive back to Nairobi. Unfortunately we had a big delay. On the Nairobi- Arusha road 7 people got killed in the last three day by traffic. I guess the new nice road is not an improvement for everybody....local Masai people were demanding to have speed bumps on the road immediately. Strange enough no government officials showed up, so all the stuck cars, bus and truck drivers had to improvise and make some speed bumps themselves.....this took about 4 hours! When we where back in Nairobi we finally met our new team member, Mel Jones from the UK. Mel will join us on our Mt Kenya climb. Tomorrow we will leave early in the morning to Mt Kenya National Park and we are hoping to reach the "Old Moses Camp" at around 3000m and spent our first night there. 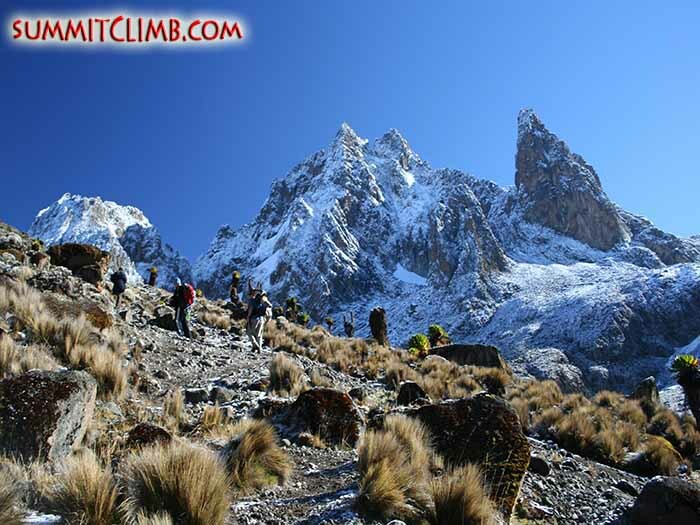 Personally I am looking forward to Mt Kenya, this will be a "real" climb and the whole team will be trying to climb to the summit off Nelion. 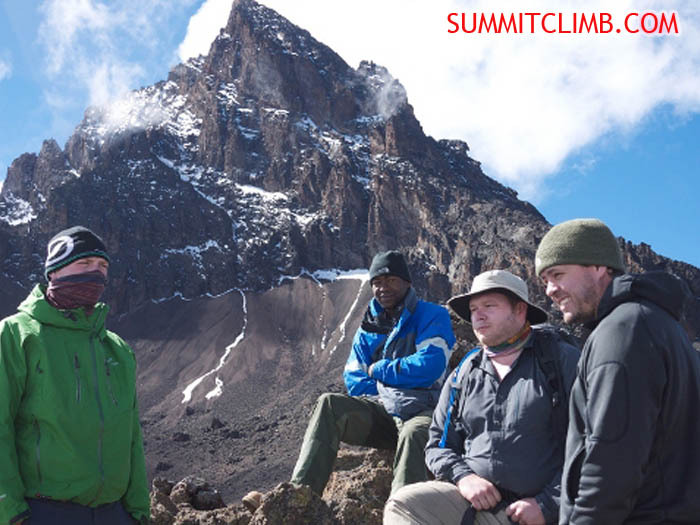 This is one of the main summits of Mt Kenya. To get there we have to climb 19 pitches on beautiful rock! A true adventure! 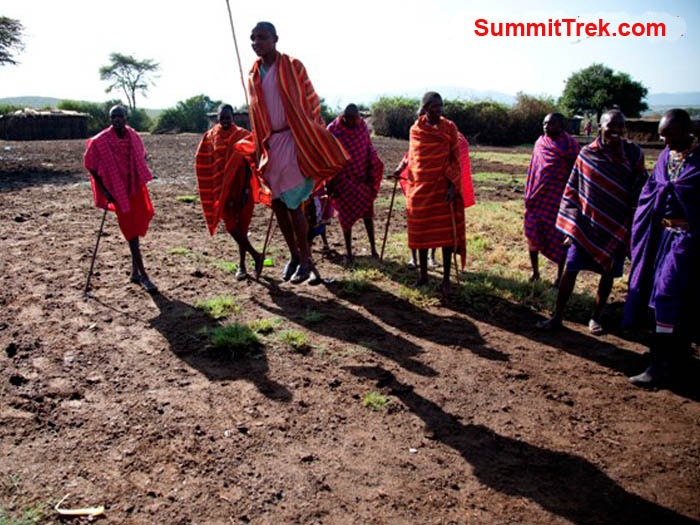 Masai men performing their manhood ritual. Photo by Andrew Wooster. Mel and Ryan enjoying tea and biscuits. Photo by Jonathan Barbero. Mackinder’s valley on Kili. Photo by SummitTrek. Giant Senicio's with Mount Kenya in the background. Photo by SummitTrek. 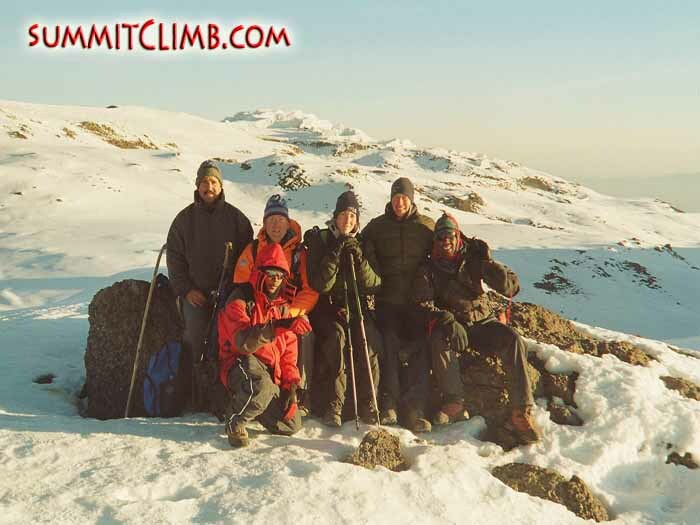 Team reaches the summit of Kilimanjaro! We are looking forward to some thicker air again and I’ve also heard that they’ve got beer there. 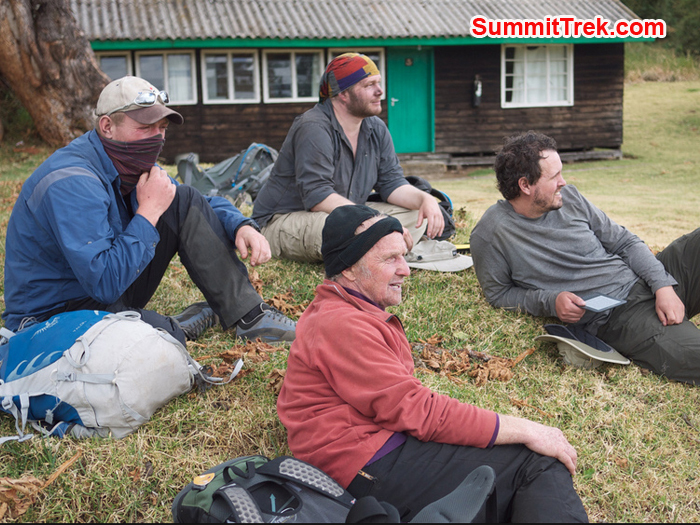 So we’re all looking forward to going there, very tired but very happy that we summited and are in super good spirits. When I get half an hour I’ll send some pictures from the summit if there’s still a little bit of power left in the laptop: I’ve had some problems charging the laptop which is why I’ve called in the voice dispatch. There’s hope for it but otherwise I’ll send them when we’re back in the hotel. So everything is fine, we summited at 5.20 in the morning and we’re going down now. 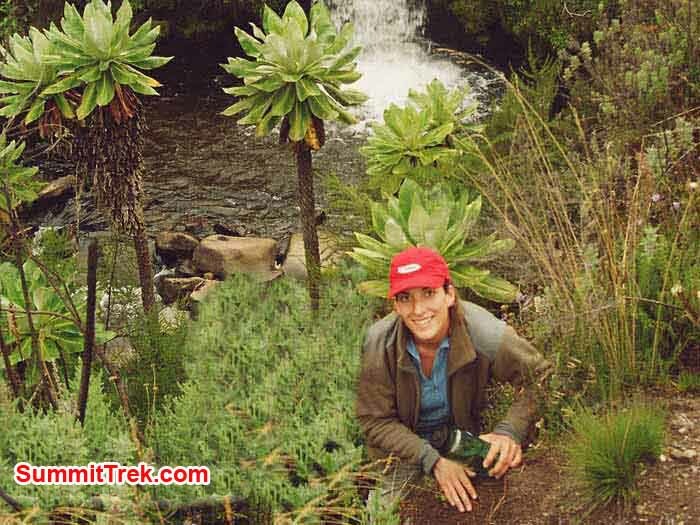 Hello this is leader of the Kilimanjaro expedition and I’m calling from Kibo camp at 4700m. Yesterday we had a rest day so everybody had time to recover, think a little bit and do some wandering. 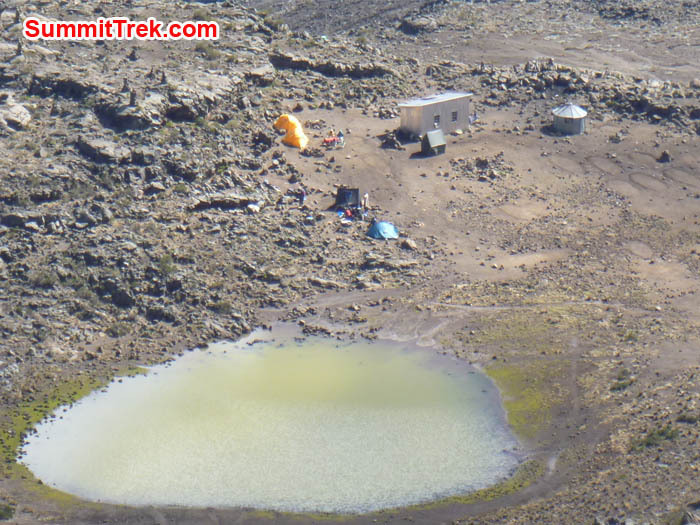 Today we walked from the Tarn Hut camp to the Kibo camp. The route goes through a kind of a dessert and right now we’re in the camp and everything is fine. 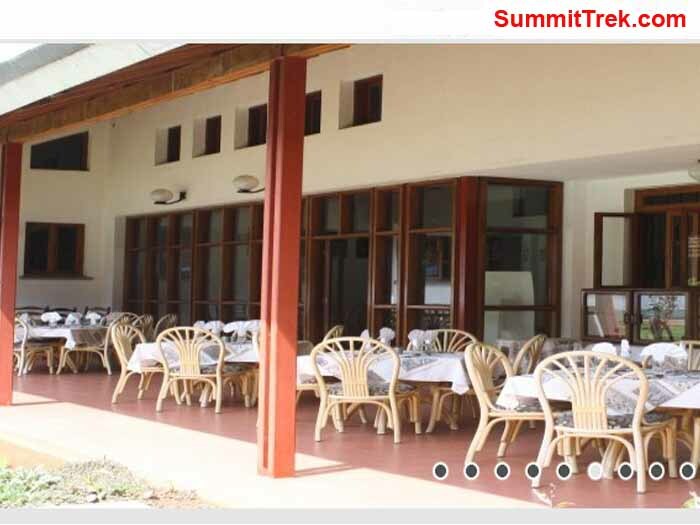 Pretty soon we’ll be having dinner and tonight at about 12 o’clock we’re going to set off for our summit attempt of Kilimanjaro. 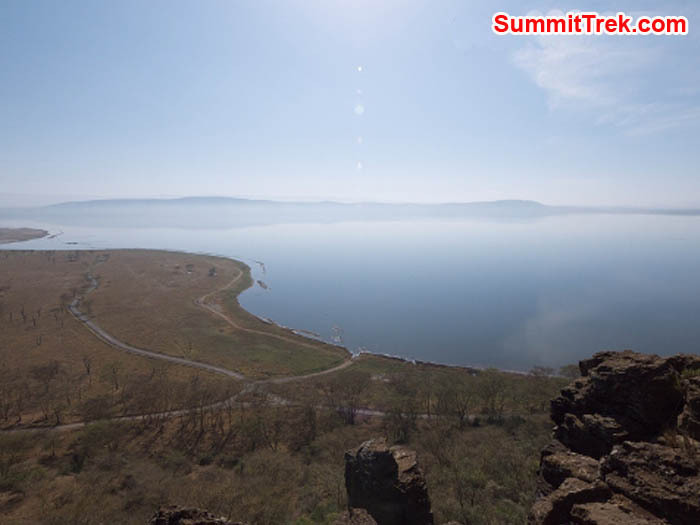 The climb will take 6 -8 hours so we hope to summit by sunrise. Everything is fine, everyone is well, the staff are doing a great job and our cooks are making some great dishes. We’re having lots of fun here so I hope to call again early in the morning to report our summit. After a 4 hour walk through the clouds this morning we arrived at the Tarn camp. 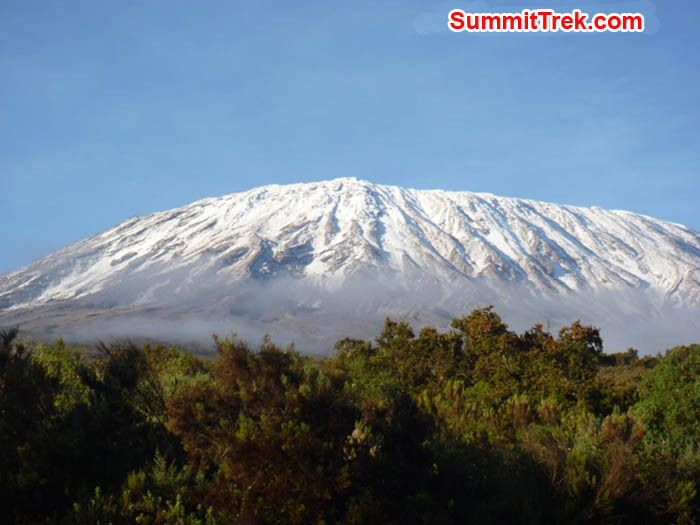 We are right under the impressive Mawenzi peak; which is one of the three old craters of Kilimanjaro. Tomorrow we will rest all day here. Besides an acclimatization hike; we will probably be busy washing, sleeping and eating the great food our staff is making for us. We have a big Monopoly card game competition going on also; let's see who will win tomorrow. 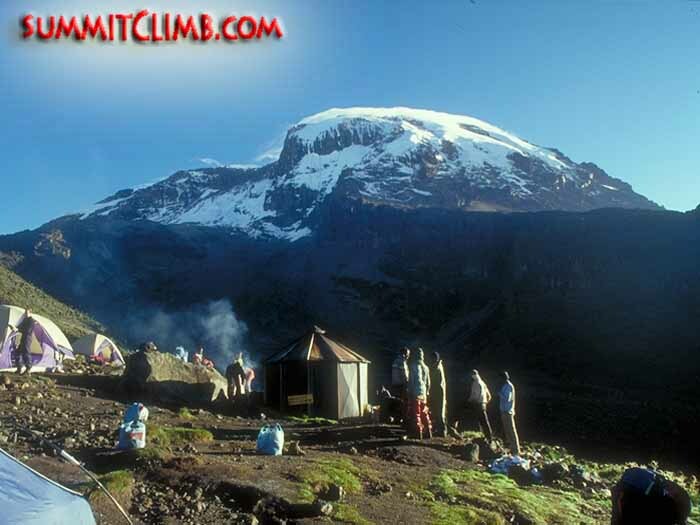 After Tomorrow we will head off to the Kibo hut at 4700m, witch will be our final camp before our summit attempt. Tarn Hut camp with the small lake. Photo by SummitTrek. 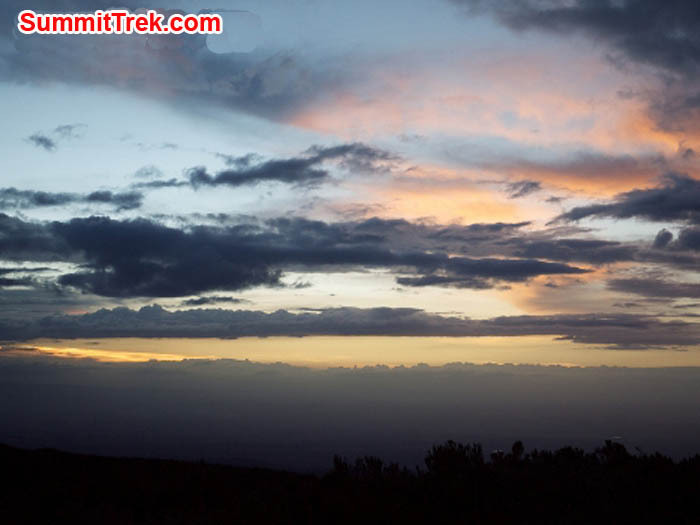 View from the Kibo crater rim on Kili. Photo by SummitTrek . Pt Lenana and Lewis glacier from 2nd pitch of Nelion on Mt Kenya. Photo by Jonnathan Barbero. 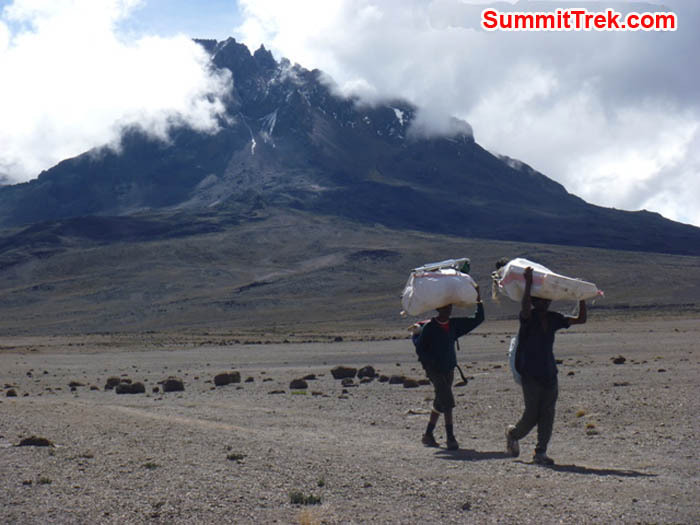 Porters walking towards Kibo hut, Mawenzi in the background. Photo by SummitTrek. Today was an easy day of walking, but this is necessary for good acclimatization. From the 2nd cave it's only 3 hrs to reach Kikelewa cave at 3600m. Slowly the vegetation is changing again. 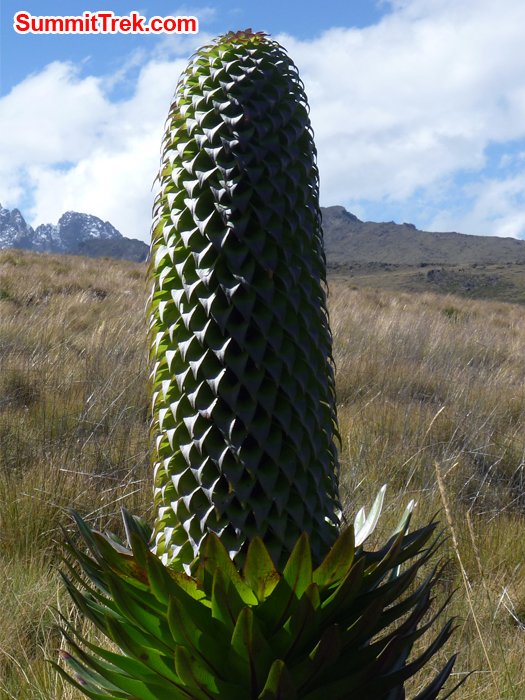 Today we saw some of the giant Senecios and Lobelias, very strange looking plants. Sometimes it feels like you are on another planet. We also had some beautiful views of Mawenzi peak; which is the third highest point in Africa. Yesterday we finally left Nairobi. It was nice to leave the Town and head out for the countryside again. 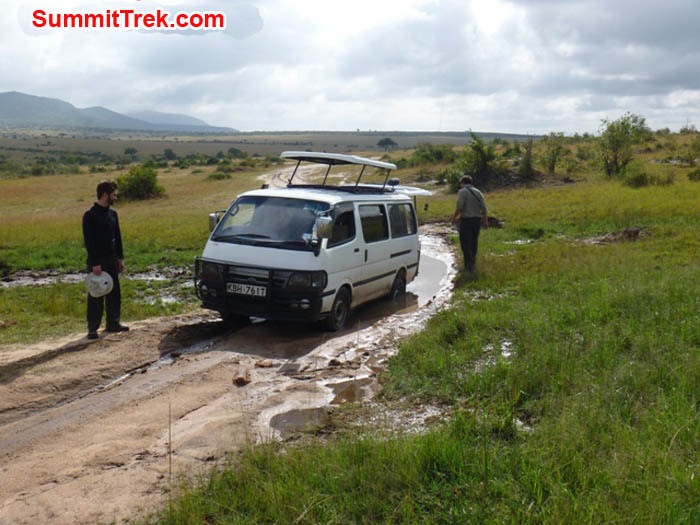 First we had to drive to the Kenya-Tanzania border where we had to get our Tanzanian Visas. The road to the border is new, so it's a quite comfortable ride to get here. After the border it's another 3 hours to reach Moshi. This morning we had had to do our final driving to the Rogai Gate at 1950m. It's about a 2 1/2 drive from Moshi on a remarkably nice road. We passed through many villages and banana plantations. At the gate the scenery changed to pine forest. Higher up the pine got replaced by what we call 'montane forest' with lots of nice flowers between the small trees. We put up camp at the 1st cave at around 2650m. Tomorrow we will continue to the 2nd cave at 3450m. We are looking forward to this. Today we already had our first glimpse of views on the Kenyan plains, so tomorrow will be even better! Photo by Jonathan Barbero. 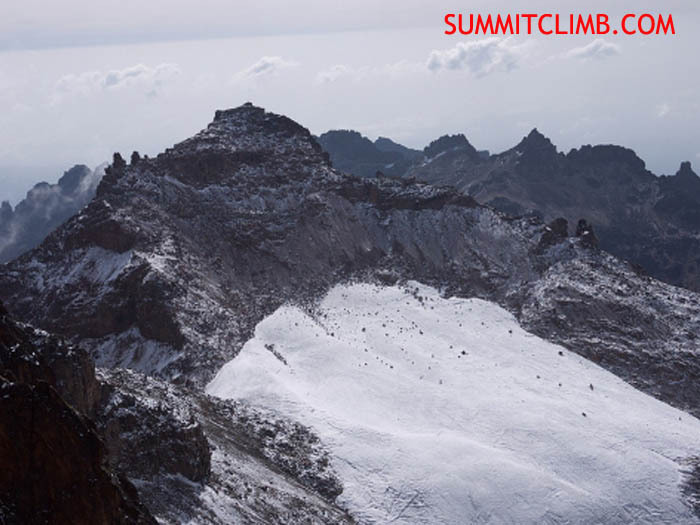 Mt Kenya's Bation on the right, Neillion left Photo by SummitTrek. Nakuru Lake. Photo by Jonathan Barbero. Our Safari van conquering the mud. Photo by SummitTrek. 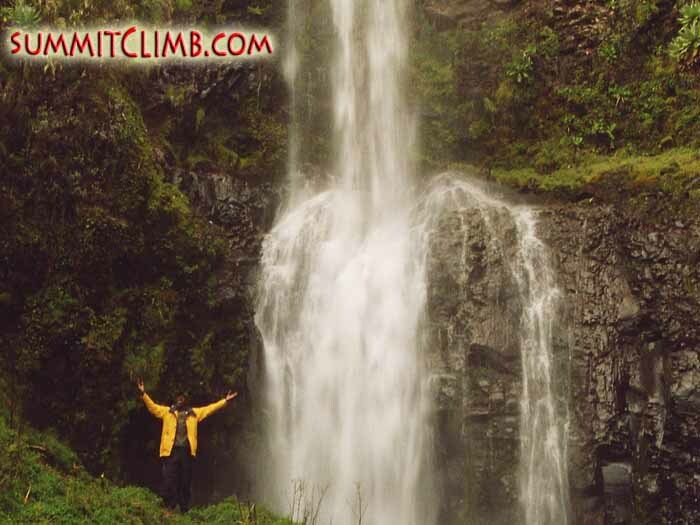 Hello this is Jonathan Barbero with the SummitClimb expedition to Mt. Kilimanjaro. We left Moshi this morning after enjoying a nice hotel that featured cheap beer and a good breakfast. 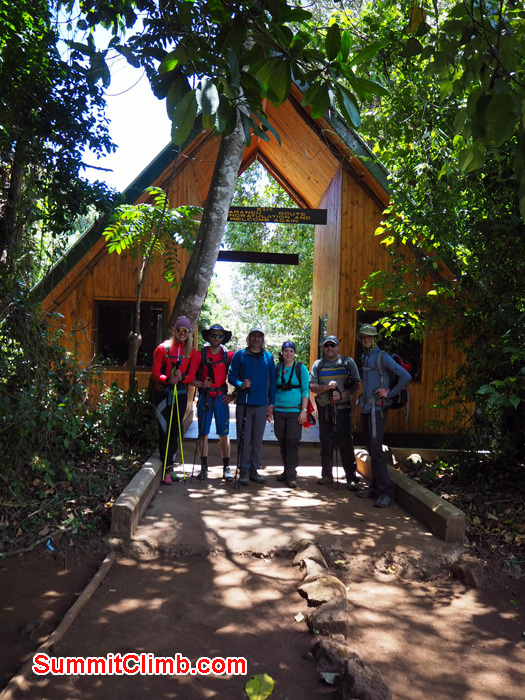 We arrived at the Rongai trailhead, had lunch, and hiked about 2.5 hours up to camp 1 at 2600 metres. We organized a small sightseeing tour today around town. First we visited an elephant orphanage; young baby elephants loose their mother because of ivory poaching. In this centre the baby elephants get an 2nd chance and will be released in the wild again as soon as they can take care of themselves. We also went to a giraffe centre that runs a similar programme. It's very nice to see the giraffe so close! Tonight is our last night in Nairobi, tomorrow we will set of for Moshi on the foothills of Kilimanjaro. It will take roughly 8 hours to get there. First we will drive to the Tanzanian border and then continue to the town of Arusha from where we drive to Moshi again. 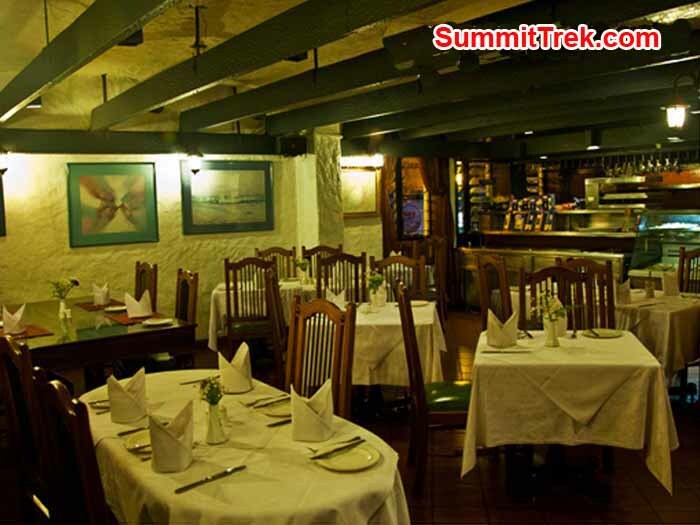 We are all looking forward to be in the mountains again, but tonight we will enjoy some of the good restaurants in town. Yesterday I arrived in Africa, it has been a while since I have been here. It is good to be back! I treated myself to a "Tusker" beer with traditional Barbequed goat meat, delicious! It's nice and warm here, about 25 Celsius and when I flew in I had a clear view out to the mountains! 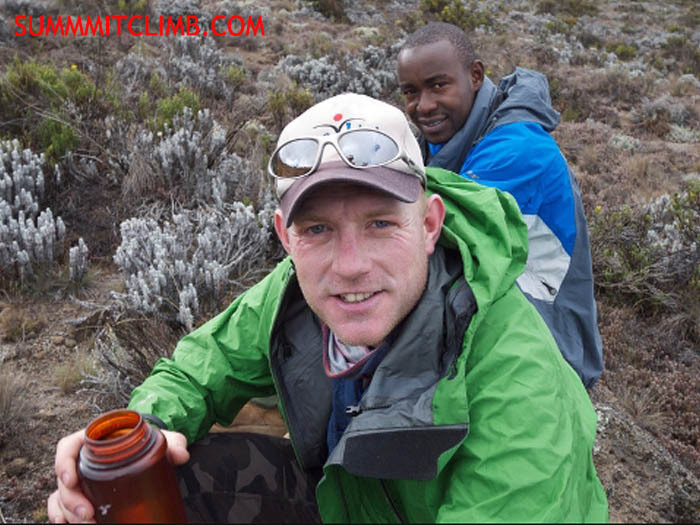 After Kili we will climb Mt Kenya and an additional team member, Mel Jones from the UK will join us. Soon I will have more news, so stay tuned!